God is bigger than your current story. Bigger than fear or shame or that voice in your head that whispers that you are not enough, too broken, or too flawed. Join Him in a closer relationship—one rooted in His truth. 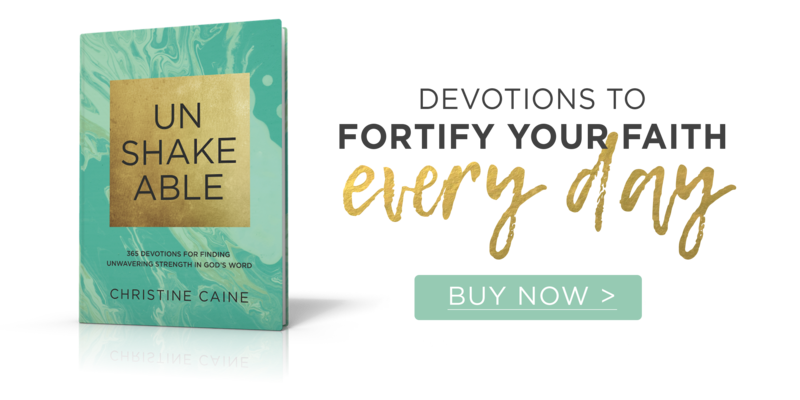 In this daily devotional, best-selling author, speaker, and activist Christine Caine encourages you to build your faith in our Unshakeable God so you can find confidence to live as the person God created you to be.